The Ontario Securities Commission is seeking comment on four proposed exemptions, which would offer start-up firms new ways to raise capital. The proposals aim to bring back the offering memorandum (OM) exemption, introduce an OSC-version of the exemption for existing shareholders, create a new exemption for raising funds through friends and family and introduce equity crowdfunding, so firms can raise capital using online platforms. The OM exemption would allow Investors who don't qualify as accredited investors to invest either $10,000 or $30,000 per year dependent on their financial situation. The crowdfunding exemption would allow companies to raise up to $1.5 million over one year and would limit contributions to $2,500 per single investment, up to $10,000 a year. The comment period ends June 18. Alberta, Quebec, New Brunswick, and Saskatchewan are proposing similar OM exemptions, while B.C. is considering a crowd-funding exemption. The Autorité des marchés financiers (AMF) issued a warning to investors about 'so-called, secret' high-yield investment programs, promising hefty returns (more than 100 per cent for low risk) via renowned international banks. The regulator says the schemes are said to offer access to transactions typically only available to large corporations or wealthy investors, and must be kept confidential. 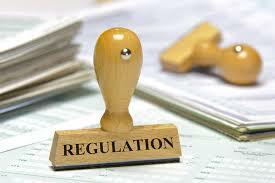 The AMF advises investors to ensure the firms and individuals they are dealing with are registered with regulators. A life insurance agent, permanently banned by the Mutual Fund Dealers Association of Canada (MFDA), has received an additional one-month ban by the Financial Service Commission of Ontario (FSCO). The decision comes after a hearing that weighed the decision made by the MFDA. Michael Harvey was found guilty of failing to comply with his dealer's directions regarding supervision of leveraged accounts and failing to cooperate with an investigation into the matter by refusing to attend an interview with the MFDA. Harvey also received fines of $60,000 and costs of $10,000. Under the FSCO's ruling, Harvey must be supervised by another life insurance agent for two years following his one-month ban. The OSC denied a motion to allow Pro-Financial Asset Management Inc. to continue to sell funds to new investors. Earlier this month, the Oakville-based fund manager announced that it is experiencing a capital deficiency, and has miscalculated the management expense ratios (MERs) on its funds. In response, the OSC ordered that funds could only be sold to existing investors until April 7. The decision will remain intact while the provincial regulator looks into a proposed deal for Pro-Financial to sell the funds' investment management contracts to Burlington-based Kingship Capital Corp.